The LSA Model Not a bad lookin’ little bird, ehhhh? Well, we’re being too modest. Actually, we think it’s a great lookin’ little bird that incorporates a bunch of innovative design features that will make it a joy to own and fly. 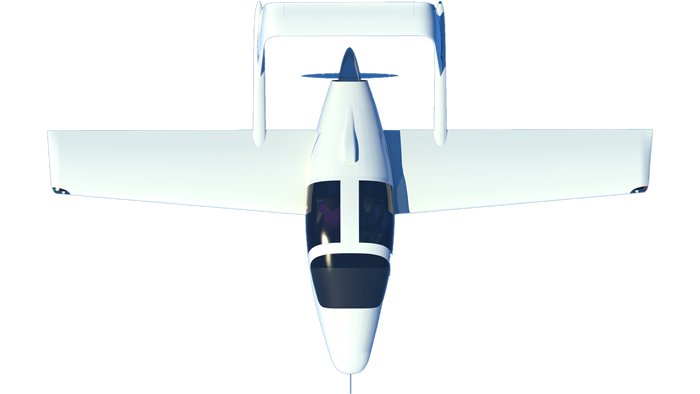 We’re going to certify this airplane in the S-LSA category which means you’ll be able to buy it ready to go. How much? As you know, LSA airplanes were supposed to be simple and relatively cheap so you wouldn’t have to take out a second mortgage in order to buy one. Well, it’s hard to find an S-LSA for less than, say, $125K to $130K. In our opinion, that ain’t cheap. We think $85K is relatively cheap for what you’re getting for your bucks and we think we can get there by simplifying our production methods, minimizing our labor costs and operating in a lean and mean fashion (that means cutting the overhead to the bare minimum). Think room, think a lot of room for two. The Flyer cockpit is 50″ wide and will easily take two really big guys with room to spare. Think getting in and getting out. Think about getting into and out of your car. The two big clam shell doors open down to the floor and getting into and out of this bird is going to be very much like getting into and out of your car. Think visibility, think about being able to see the world out there without getting a stiff neck. Take a look at the picture above. That says it all. Think about a fighter type stick in your right hand and the throttle in your left hand. Think computers. Yeah, there’s an onboard computer designed to do all sorts of wonderful things. Example- Is this short strip long enough for me to safely take off? Computer, consider runway length, runway slope, wind, weight and Density Altitude and give me a GO or NO GO. And last but certainly not least, handling. We could talk all day about handling but we know that handling is one of those things that has to be experienced to be believed so we’ll cut this short. We are experts at designing for superb handling and you’re going to think you’re flying the latest creation from Lockheed Martin. Well, that’s about it for this section. Why don’t you take a quick look at the Specifications and Performance pages to get a handle on what the Flyer will do?